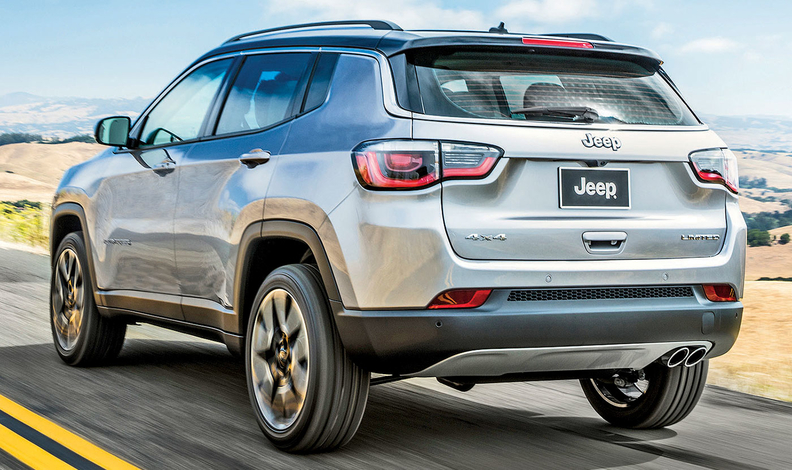 The new Jeep Compass shares styling cues with the Grand Cherokee. LOS ANGELES -- It's the kind of comeback story Hollywood loves to tell. After several years of C-list debuts at the Los Angeles Auto Show, the 2016 iteration is back with a vengeance -- and some relevance. Timing helps: Without a Tokyo or Frankfurt show to steal its thunder, and with product cycles matching up favorably, L.A. will offer a variety of crucial model debuts, most of which will tap into buyers' unending appetite for crossovers. Here's a rundown on what to expect. It's what's on the inside that counts. Honda's luxury arm will show off a new interior design and layout for future vehicles that's production-ready. It's expected to do away with the brand's unpopular two-screen setup. With the Giulia compact sedan finally hitting the road in the U.S., FCA's German-fighting brand will double down on the U.S. market with the world debut of the Stelvio. The midsize, all-wheel-drive crossover shares a platform with the Giulia and will target models such as BMW's X3 and Audi's Q5. It's expected to arrive in showrooms late next year. The redesigned A5 and S5 models and the new Q5 crossover make their North American debuts, as well as a highly limited-run (think just 25 copies) R8 V10 Plus Exclusive Edition that features Audi's laser-headlight setup for the high beams. Look for a production version of the Colorado ZR2 that's been popping up in spy photos all summer and which Chevy has shown in concept form in L.A. before. Southern California is a huge midsize-truck market, hence Chevy's plans to reveal this off-road focused package here. Chevy is also showing the 2018 Equinox crossover that it unveiled in September. With the help of rapper DJ Khaled, Ford will introduce the EcoSport subcompact crossover to U.S. audiences for the first time. Available globally for years, the EcoSport joins a burgeoning segment that is only expected to see more sales -- and entrants -- in coming years. Current EcoSport models abroad have a choice of a 1.0-liter, turbocharged three-cylinder or 1.5-liter four-cylinder gas engine or a 1.5-liter diesel; expect one of the two gas engines to land stateside. Look for a U.S. version of the G80 Sport that quietly debuted at the Busan Motor Show in Korea in June. That car packed the new 3.3-liter twin-turbocharged V-6 from the larger Genesis G90, good for around 365 hp in the G80 Sport. All-wheel drive is likely, as is Hyundai's eight-speed automatic transmission. Honda is in the middle of a product onslaught that will keep it busy at a string of auto shows and beyond. L.A. will see the public debut of the redesigned CR-V and the world debut of the Civic Si. The Si will be a "concept," and details on its powertrain won't be announced. Tuners and enthusiasts will be given one key nugget of intel: engine size. The jury is still out on whether it gets a detuned version of the 2.0-liter turbo in the more aggressive Type R or a pumped-up version of the 1.5-liter turbo that Honda is spreading throughout its car and crossover lineup. The Hyundai brand will be light on vehicles, but look for some news regarding the future of mobility and autonomous vehicles, two conversations in which Hyundai has been conspicuously quiet. With the launch of its Ioniq trio of green cars beginning soon, that model could play a role in this L.A. announcement. The redesigned Compass crossover will make its North American debut after initially breaking cover in Brazil in September. Set to replace the current Compass model as well as the smaller, boxy Patriot, the 2018 Compass rides on the same platform as the smaller Jeep Renegade and Fiat 500X and borrows many styling cues from the larger Grand Cherokee. It will be built for North America in Mexico. The Soul Turbo joins Kia's popular Soul family, alongside the base gasoline-engine model and the Soul EV. The Soul Turbo uses a powertrain similar to what's in Hyundai's Elantra Sport: a 1.6-liter turbocharged four-cylinder engine mated to a seven-speed dual-clutch transmission. Look for 200 hp and some slight exterior upgrades over the base car. Land Rover's new bread-and-butter crossover, the Discovery, will make its North American debut after breaking cover in Paris. Kicking off the Discovery launch will be the debut in L.A. of the Discovery First Edition Dynamic, a special-edition trim package. In terms of underpinnings, the second generation of the CX-5 compact crossover, Mazda's best seller, will likely be the same as the first: 2.5-liter, four-cylinder engine and either front-wheel drive or optional all-wheel drive. Will Mazda follow Honda's footsteps in the recent CR-V and offer a turbocharged four on higher-trim models? That would jibe with Mazda's efforts to make the brand more premium, an effort that should give the CX-5 a dose of style and interior refinement similar to the larger CX-9. The three-pointed star will adorn some expensive, shiny toys to match L.A.'s appetite for them. Look for the auto show debut of the Mercedes-AMG E63 S, a 603-hp go-fast variant of the recent E class, that was revealed in late October. Also up is a world debut for the Mercedes-Maybach S-class Cabriolet, a drop-top version of the ultra-luxe sedan. Making their North American debuts will be members of the growing AMG GT family: GT and GT C roadsters and race-bred GT R.
BMW's little brand will go big, with the Cooper Countryman making its auto show debut. The new Countryman is the largest vehicle in Mini's compact history and will come in Cooper and Cooper S variants. It rides on the front-wheel-drive platform of the BMW X1 and Mini Clubman and will offer a 1.5-liter turbocharged three-cylinder engine in the Cooper model and a 2.0-liter turbo four in the S.
Nissan will bring a refreshed Versa Note hatchback and a limited-edition Juke Black Pearl. It has also promised a NISMO performance-oriented model; the Altima and Versa Note are possibilities, but the smart money is on a Sentra NISMO model, particularly since spy shots surfaced earlier this year of exactly that. Movie fans should also look for the Rogue One: A Star Wars Story edition. The Panamera line is expanding with a new base model and the all-wheel-drive Panamera 4, which use a new 330-hp turbocharged V-6 engine. The brand also has a trio of Executive models that stretch the wheelbase by 5.9 inches: the base V-6 model, the Panamera 4 E-Hybrid Executive and the Turbo Executive. A new three-row crossover debuting in L.A. will serve as heir to the woeful Tribeca. Potentially named the Ascent, the new model will ride on a stretched version of the modular platform underneath the new Impreza and will likely offer either a 2.5-liter turbocharged four-cylinder engine or Subaru's 3.6-liter flat six and a continuous variable transmission paired with all-wheel drive. Toyota's subcompact C-HR crossover will finally make its North American debut. The production C-HR has been shown abroad with both a hybrid powertrain and a 1.2-liter turbocharged four-cylinder, but it's the 2.0-liter naturally aspirated four-cylinder that's expected to be headed to the U.S. When VW showed the facelifted family of Golf models last week in Germany, there was one conspicuous omission: the all-electric eGolf. Look for that variant to debut in green-friendly L.A. as a 2017 model. The rest of the updated U.S. Golfs won't show up until another auto show next year. VW's new Atlas three-row crossover will make its auto show debut, and the automaker will look to inject much-needed passion into its Passat sedan with a GT concept that features more aggressive wheels, trim upgrades inside and out, and a suspension tuned to its V-6 model.